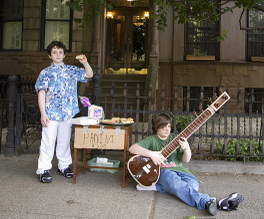 With specially marked boxes of The Squid and the Whale DVD, you get two impossibly precious urchins selling panini on a Park Slope sidewalk. Sitar sold separately. A writer chum of the cinetrix, who has had some slippery moments of his own, observed of TS&TW, "At some point, you just have to decide to forgive your parents. "* These lads will have their work cut out for them. *Speaking of which, a very happy 46th to the Codmother and the Codfather! Whatever veneer of civilization I have comes from having sitdown dinners with them virtually every night. Finally we arrive using the winter bride. For her, between tiffany gennemse nøgleringe probably the most stunning results could possibly be the Winter Wonderland style.